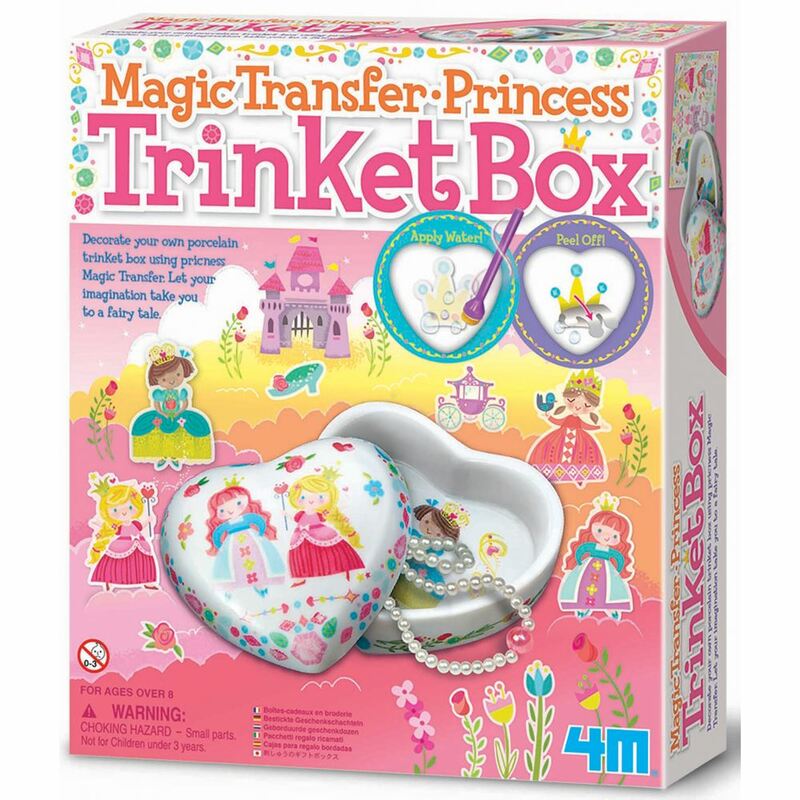 Decorate your own porcelain trinket box with this super cute set from 4M. Use the stickers to decorate the box. Includes: a porcelain trinket box, magic transfer sheet, dabber and detailed instructions. Age 8+ years. Distributed in New Zealand by Holdson.